While deep discounting brought some resurgence of shoppers into 2018, merchandisers selling at a loss cannot continue forever. The rising supply of space is forcing mall owners to renegotiate lower rents for existing tenants. 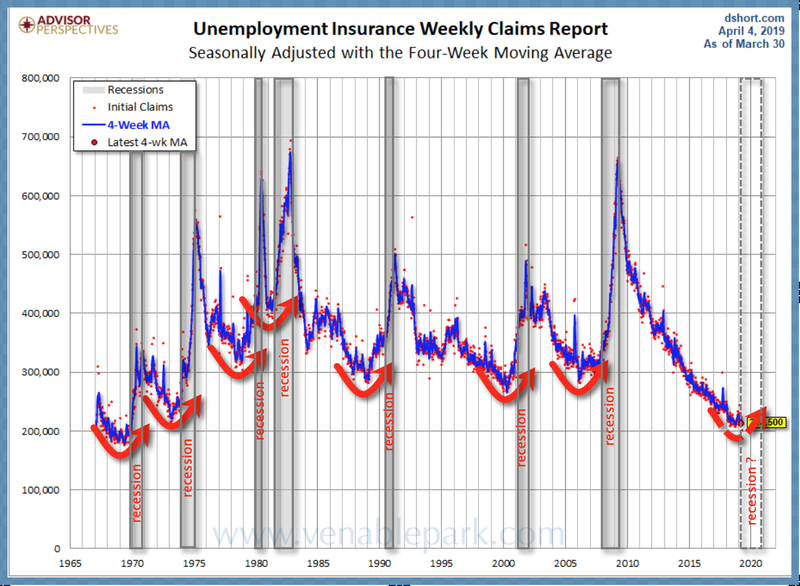 We must never forget that multi-year lows in unemployment claims are a hallmark of cycle tops, not bottoms. A new week and more data suggesting that the credit-driven consumption peak is behind us this cycle, see Malls see a tsunami of store-closures as foot-traffic declines. While deep discounting brought some resurgence of shoppers into 2018, merchandisers selling at a loss cannot continue forever. Already, year to date in 2019, there have been nearly 6,000 US store closures announced - more than all of 2018 - and some 12,000 are estimated by year-end. Here's the chart showing the relapse in US mall traffic since the summer of 2018, despite the efforts to attract it through 'experience' stores. The rising supply of space is forcing mall owners to renegotiate lower rents for existing tenants. A cleansing period is necessary after the debt-rush of the last decade, but we should be under no delusions here, the consolidation and write-downs needed will be a multi-year process. And the strain on levered investors like REITs and other commercial landlords and lenders will intensify while driving a cascade of job losses through the overall economy. We must never forget that multi-year lows in unemployment claims are a hallmark of cycle tops, not bottoms (US unemployment since 1968 shown below). Once layoffs accelerate as they are doing now, knock-on effects will weaken consumption ability further. Highly indebted consumers, companies and investors are ill-prepared for the weakness now spreading. The question is: are you?